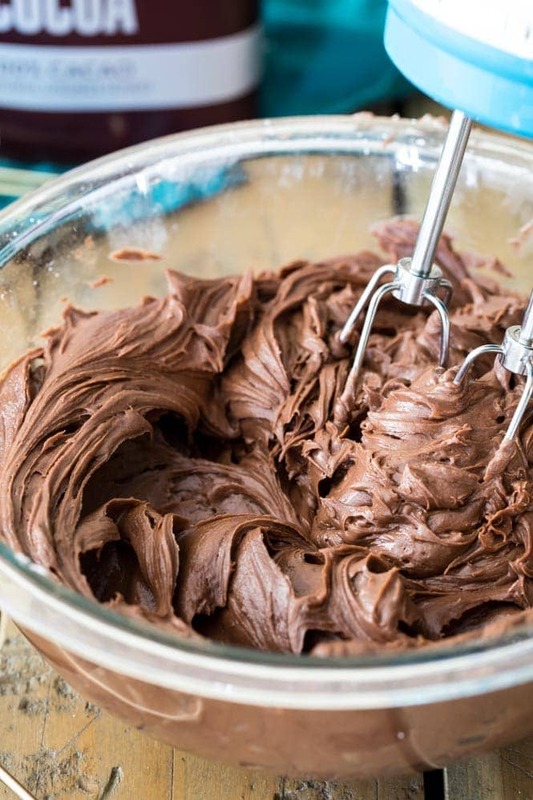 How to make chocolate cream cheese frosting! This recipe is made with cocoa powder and is simple, fool-proof, and richly chocolaty. 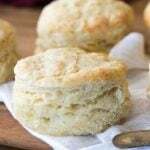 It’s creamy and smooth but is still sturdy enough for piping and would be the perfect complement to your favorite cake or cupcake recipe! Due to popular demand (and a persistent sweet tooth), I’ve been trying to amp up my frosting section on the blog recently. 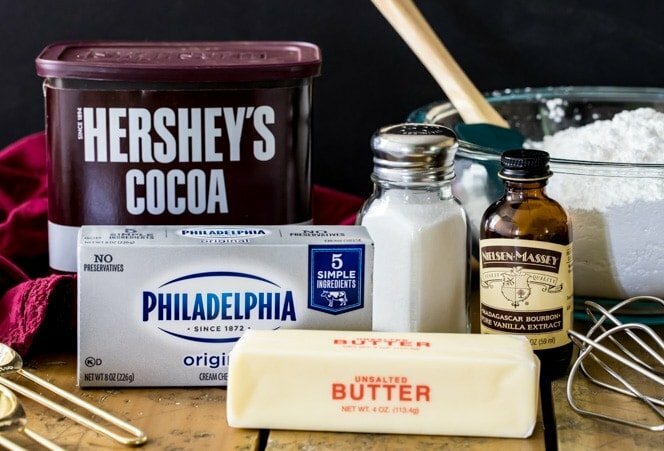 So far I’ve covered some of my favorite frostings, including a decadent, silky smooth (but not too-sweet) chocolate frosting and a classic (and perfect, it’s literally my favorite) cream cheese frosting, and today I’m marrying these two favorites together into this chocolate cream cheese frosting recipe. 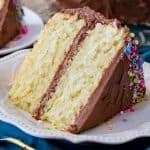 Despite my afore-mentioned sweet tooth, buttercream frostings were always too sweet for me growing up, so as soon as I discovered cream cheese frosting my mom switched over to icing and decorating my birthday cakes exclusively with classic and chocolate cream cheese frosting. 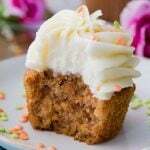 While many cream cheese frostings don’t stand up well to piping or decorating (too many are too soft and runny), this recipe is stiff enough for decorating and, as you can see in the above picture, works perfectly for piping on top a cupcake. Chocolate cream cheese frosting only requires 6 ingredients and for my recipe I always use cocoa powder (rather than melted chocolate) to give my frosting a rich chocolaty flavor. Take a good look at your cocoa powder before adding it in to your mixer, and if it looks particularly clumpy I recommend running it through a sifter with your powdered sugar so that you don’t have any lumps when you go to pipe the frosting — there’s nothing more annoying than ruining that perfect chocolate swirl because your piping tip has a lump of cocoa powder or powdered sugar jamming up the flow. Another tip for silky smooth frosting: Make sure that your cream cheese and butter are softened before beating them together. Cream cheese that’s still cold can also cause lumps in your frosting. I always recommend beating the cream cheese and butter together with an electric mixer first until both are well-combined and lump-free, and then adding your other ingredients. And if you’re wondering about the cupcakes in this picture, I just made my favorite vanilla cake recipe, added a handful of sprinkles, and baked into cupcakes. My funfetti cake or chocolate cupcakes would also work nicely! 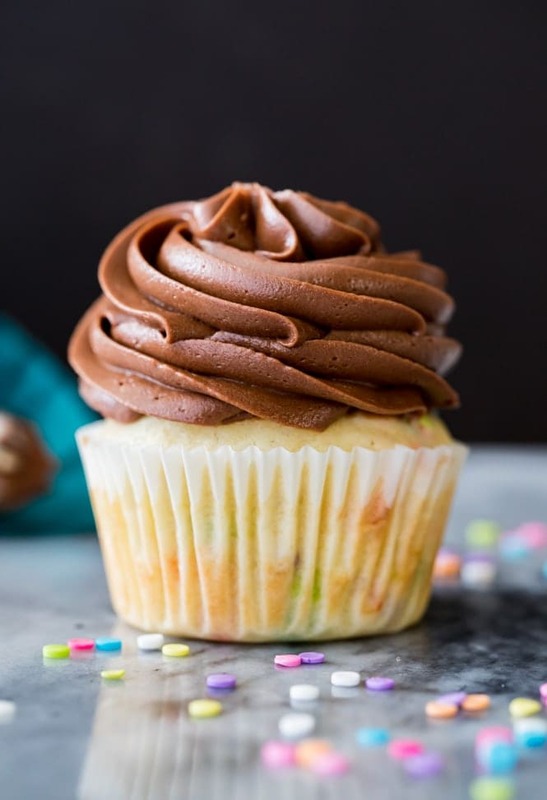 This chocolate cream cheese frosting recipe will cover either one 2-layer 8" or 9" cake, 24 cupcakes, or generously frost (as much frosting as in the photos) 12 cupcakes. 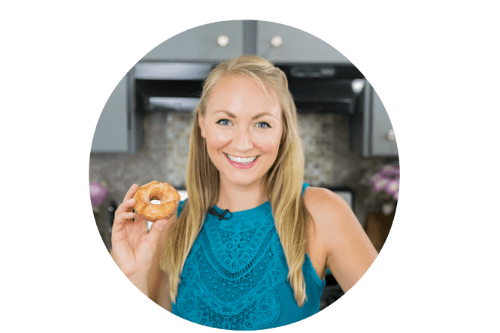 Combine the butter and cream cheese in a large bowl and, using an electric mixer or a stand mixer to beat until creamy, well-combined, and lump-free. Add vanilla extract and salt and stir well to combine. 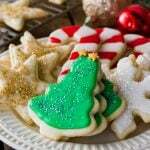 With mixer on low, gradually add powdered sugar until completely combined. Add cocoa powder and beat until well-incorporated into the frosting -- be sure to scrape the sides and bottom of the bowl so that all ingredients are well-combined. Frost completely cooled cake or cupcakes. 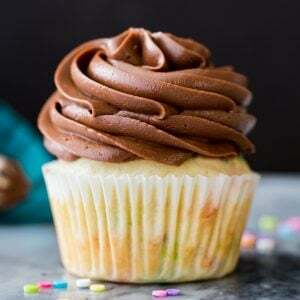 *If you plan to pipe the frosting with a small tip, I recommend sifting the powdered sugar and cocoa powder (after measuring) to remove any lumps. 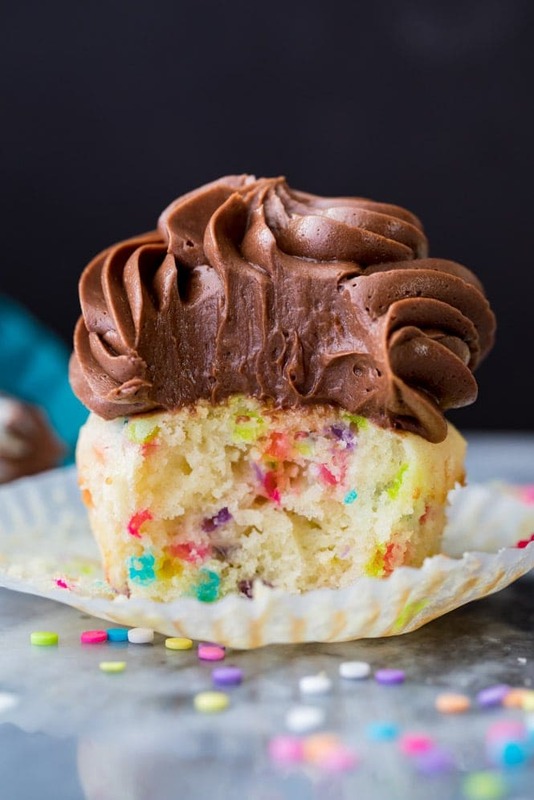 The cupcakes in these photos were frosted using an Ateco 848 tip. I’ll be making the cake early in the morning and won’t be able to frost it until later in the afternoon. Should I make the frosting just before I’m going to use it or can I make it earlier and refrigerate it? Thank you!! Hi Autumn! Either will work, but if you want to make it in advance just keep in mind that it will get pretty stiff as it chills in the fridge. 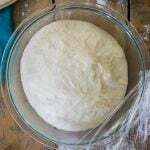 Before you’ll be able to spread it it will need to sit at room temperature for at least 15 minutes or so and it will need to be stirred again. I hope that helps! This frosting is amazing! 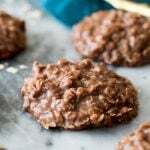 I made with dark cocoa powder, and it was rich and finger licking good. Thanks for the recipe. I hope this isn’t too dumb of a question but for some reason my husband can’t stand cocoa powder. 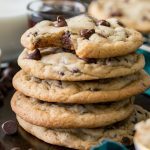 Is there any way this recipe can be made with melted and cooled chocolate chips? Hello! is it possible to combine the sugar and cocoa and then add it in? I am a great grandma . I decided to let my grandson taste the goodness of a scratch cake that he enjoyed as a kid . 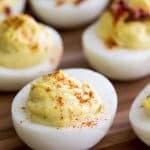 Thank you and your recipes for bringing back memories. Just tried this recipe and its fantastic but I made a 9×13 cake and have about half left. Can this be frozen? Thank you for including metric measurements in your recipe so that I don’t need to convert them from the US ones. 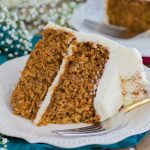 After I frost my cake, can I let it sit out at room temperature or do I need to refrigerate the cake until it is time to server? 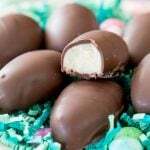 Can I use chocolate chips in substitute for cocoa? How long and how can this be stored?